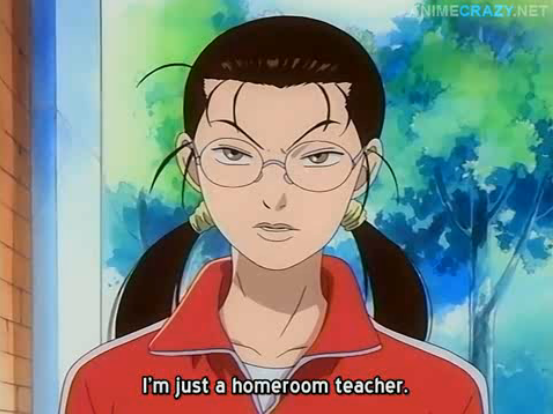 “Just” a homeroom teacher she ain’t. 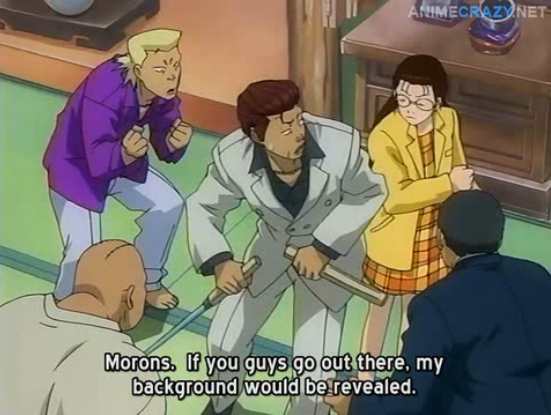 Gokusen is the comic story of a daughter of the Yakuza who leads a double life. By day, Yankumi teaches math at a high school known for its delinquent students. You can think of Gokusen as what Dangerous Minds would have been like, if, instead of an ex-marine, Michelle Pfeiffer had been groomed to take over a mafia family. This review is based on a viewing of the complete series, but contains no spoilers. The students don't give her much respect. 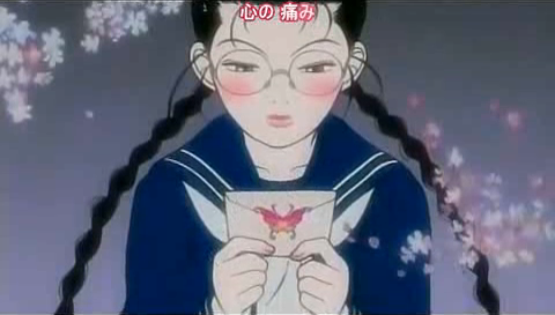 Yankumi’s troubles at school include trying to get the students to take lessons seriously, but she also struggles to help them with their problems. Unfortunately she can’t use the full extent her personality, which is forcefully delivered at times by the seiyu, Risa Hayamizaku (e.g. Momoe kantoku, from Ookiku Furikabutte), because she needs to keep her yakuza associations a secret, for fear of losing her teaching job. At home she gets more respect than any person deserves. At home, Yankumi (usually referred to as Oujo) is the grand-daughter of the leader of the criminal Ooedo Group. Since she was raised with gangsters, she has amazing fighting skills. She also has a magical dog (?). As in most comedies, the yakuza are shown as over-emotional and very attached to the daughter of the household, and their “brothers”. They also have higher standards for conduct than many supposedly upstanding members of society. 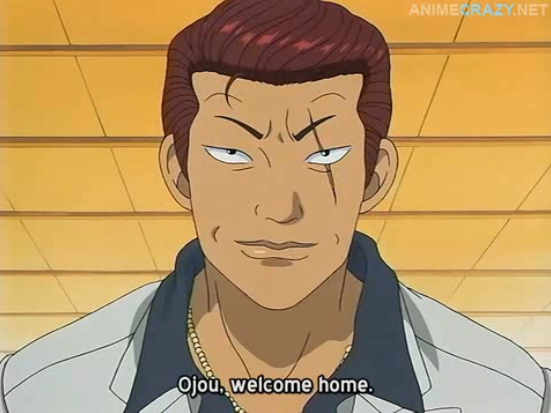 The guy shown above, Kyoutarou, is the wakagashira (the second in command) of Yamaguchi’s organization. He was my favorite side character. His seiyu is Norio Wakamoto, and if you know who that is, you know this show is pretty much worth watching just for this character. 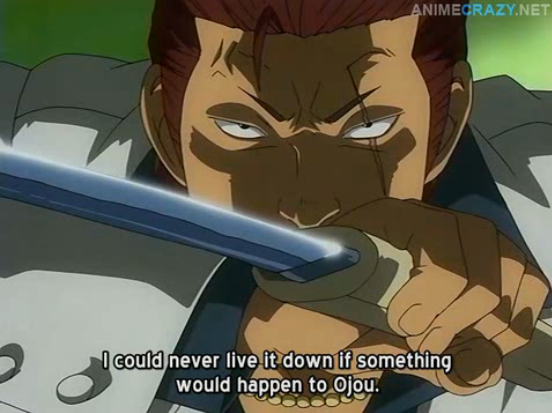 Other roles performed by Norio Wakamoto include: Vicious (Cowboy Bebop), Gustave St. Germain (Baccano! ), the Narrator (Hayate no Gotoku), Nobunaga Oda (Sengoku Basara), and countless others. Even if my fate leads me up a steep mountain, I will keep going forward, never looking back. This really was a fun show. The manga was also made into multiple seasons of live-action dorama, as well as at least one movie special. The anime adaptation is only 13 episodes long, but the ending is very satisfying. 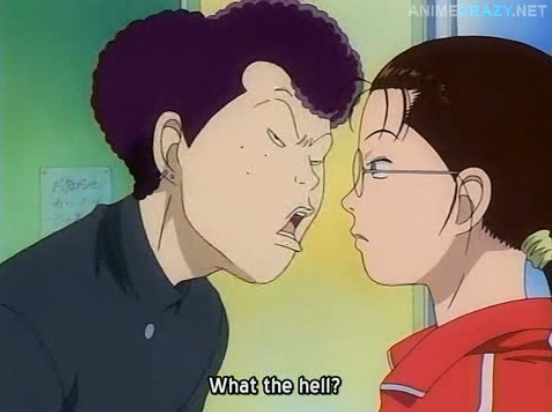 I’ve only read the manga and Gokusen is hilarious. I always like strong female characters. Yankumi is very likable. She is strong and caring, yet she isn’t perfect. I tried to watch the dorama a few years ago because I thought it sounded fun, but I couldn’t take the acting style. 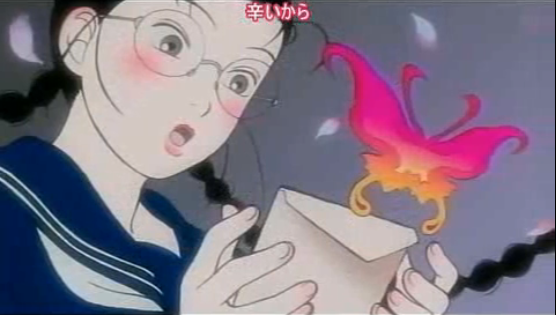 I’ve also always found the ending song/animation to be just hauntingly gorgeous. I still watch it sometimes on You Tube. Yeah! The music is moving, the lyrics are profound, and the artwork is beautiful. I like the nostalgia present in it, too; everyone is wearing old-style outfits.